Situated in a national park, this lodge is 2.1 mi (3.4 km) from Painted Dog Research Center and 3 mi (4.8 km) from Painted Dog Conservation. 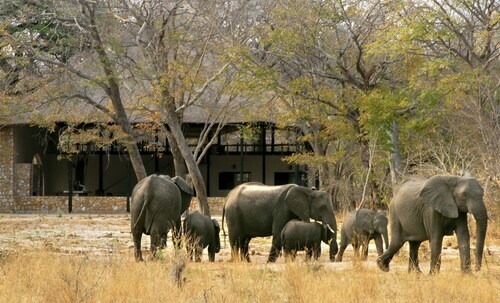 Hwange National Park and Railway Recreation Center are also within 12 mi (20 km). Situated in Dete, this lodge is 1.5 mi (2.4 km) from Painted Dog Research Center and 1.5 mi (2.4 km) from Painted Dog Conservation. Hwange National Park is 11.1 mi (17.9 km) away. Situated in Dete, this lodge is 7.9 mi (12.8 km) from Painted Dog Research Center and 8 mi (12.8 km) from Painted Dog Conservation. 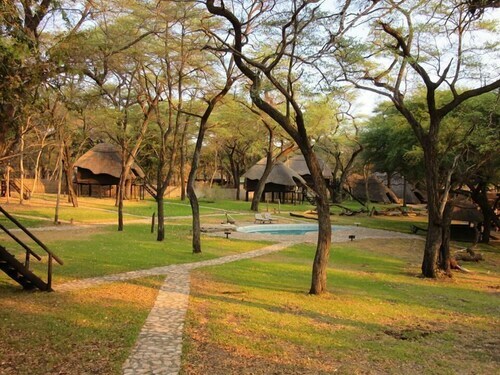 Hwange National Park and Railway Recreation Center are also within 25 mi (40 km). Situated in Dete, this tentalow is 8 mi (12.8 km) from Painted Dog Research Center and 8 mi (12.8 km) from Painted Dog Conservation. 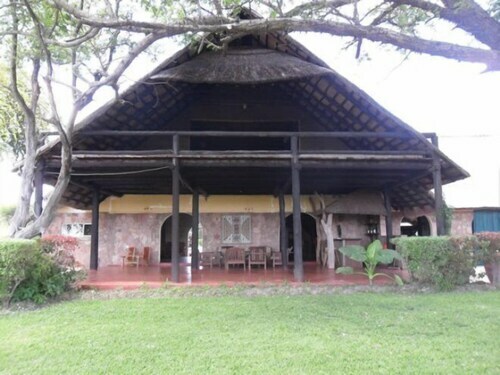 Hwange National Park and Railway Recreation Center are also within 25 mi (40 km). 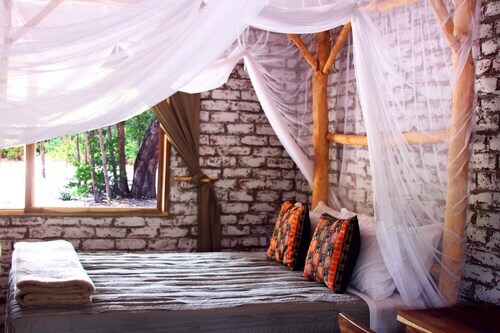 Situated in Dete, this tentalow is within 9 mi (15 km) of Hwange National Park, Painted Dog Research Center, and Painted Dog Conservation. Railway Recreation Center and Nyamandhlovu Platform are also within 12 mi (20 km). 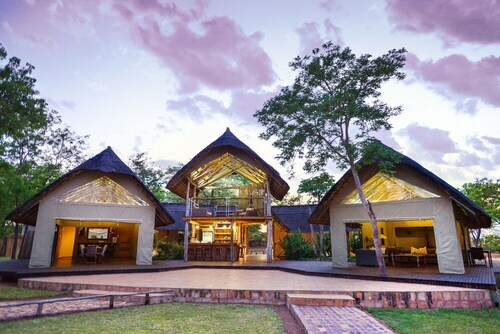 Situated in Gwayi River Farms, this lodge is 13.2 mi (21.2 km) from Painted Dog Conservation and within 25 mi (40 km) of Painted Dog Research Center and Hwange National Park. Railway Recreation Center and Nyamandhlovu Platform are also within 32 mi (52 km). 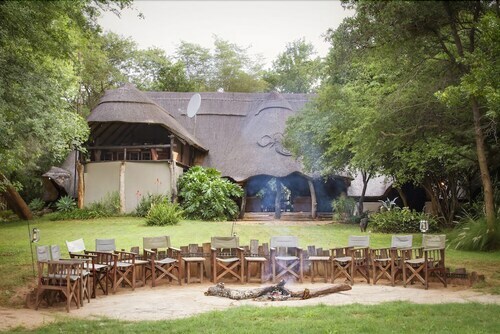 Situated in a rural location, this all-inclusive lodge is 3.5 mi (5.6 km) from Railway Recreation Center and within 16 mi (25 km) of Hwange National Park and Painted Dog Research Center. Painted Dog Conservation and Nyamandhlovu Platform are also within 25 mi (40 km).